So I’m starting to wonder if this series is going to make a transition – the story at the beginning of every issue so far that almost always gets cut off in favor of another mission, will that ever become the main story in the series, or are we always going to get little bits of it only to have it interrupted? I loved the beginning of this issue. As morbid as living on an old Atomic Testing town has to be, it was really interesting to see how Banner was handling it – with so much sarcasm. I love the changes to the town sign, so that now the town is Bannerville, Population: 1. We get a tiny glimpse of who Banner is working with and who has the blackmail material mentioned in the very first issue. We know they’re (probably) in New York. Still not sure who that could be…but maybe they’ll let us in on the secret sometime soon. The Lab Techs have arrived! Unfortunately, we didn’t get to see much of them. What little we did see I enjoyed, and I really want more of them! Hopefully they will get more time in the coming issues. They are given a tiny piece of metal from Thor’s Hammer and are tasked with coming up with ways they can use it (Melinda has plenty of ideas, it seems…). And then we’re dragged away from the good stuff and into the main storyline, involving crazy sea monsters and Hulk being shot out of a cannon (what was Maria Hill thinking?) along with R.O.B. (We knew he was coming back, right?) to attack Attuma, the leader of the crazy sea monsters. Anywho, even this was really short, leaving us with a cliffhanger where Hulk is being dragged into the depths of the ocean. Now, obviously, I want to know how he gets out of this. We all know he will somehow get out of this. Overall, the single mission stories have not been my favorite format for this series. I’m kind of hoping we get an overarching story at some point soon, so that maybe some of the amazing tidbits we get at the beginning of each issue gets a little more time to develop! Adding and updating my list of questions, because I’ve been getting a lot of good info from people, or at least looking some stuff up! What happened to Green Goblin that made people so surprised to see him again? – Low Priority – fully out of curiosity. A.I.M.’s history – Low Priority – who they are, where they came from, etc. I picked up a lot of comics on last Monday when I had the gigantic stack. Lots of issues that were out of order or that I was missing the first issue of I didn’t end up reading till I tracked down the rest, but I also used the time to grab the most recent of some of the series I had already been reading. 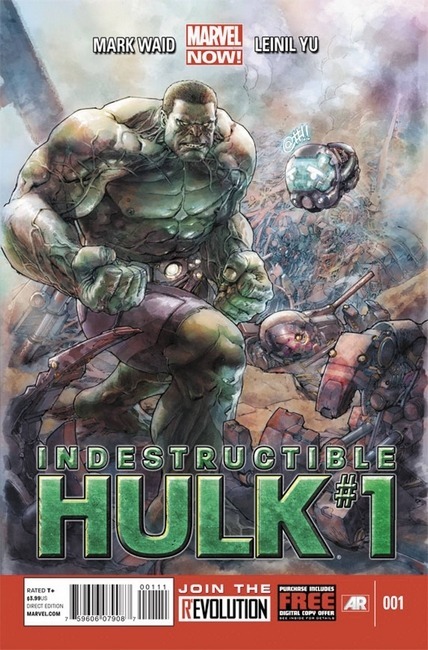 I was still learning just which series were up to which issue, and I didn’t realize that Indestructible Hulk already had a 3rd issue out! 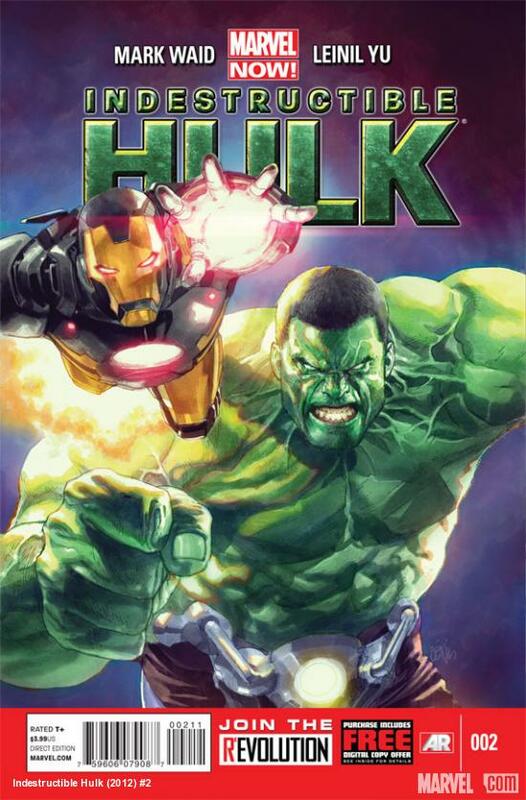 Okay, so here is my fear when it comes to Indestructible Hulk – this is going to turn into a series of “Oh My God! Its a great, scary, powerful enemy that we cannot control!” Toss Hulk In. Hulk beats enemy. Everyone Rejoices. That’s kind of what this storyline felt like. Its what the second half of the storyline from Indestructible Hulk #1 felt like as well. It worries me, because I really find myself liking Banner more with each issue, and I don’t want it to turn into that. I guess we’ll have to wait and see what #4 brings as well. The best parts of this, in my opinion, were outside of the main storyline. I like the lab assistants, even though we only got a little blurb from three of them. They all seem unique and interesting in their own right, and I’m really excited to get to know them more! Also…Rob. The ending with Rob, and Hulk destroying him with a single punch. That was great 🙂 But it does worry me that the parts I enjoyed the best were outside the main story for the issue. This was a short one – I guess I’m kind of in a holding pattern to see what happens next. 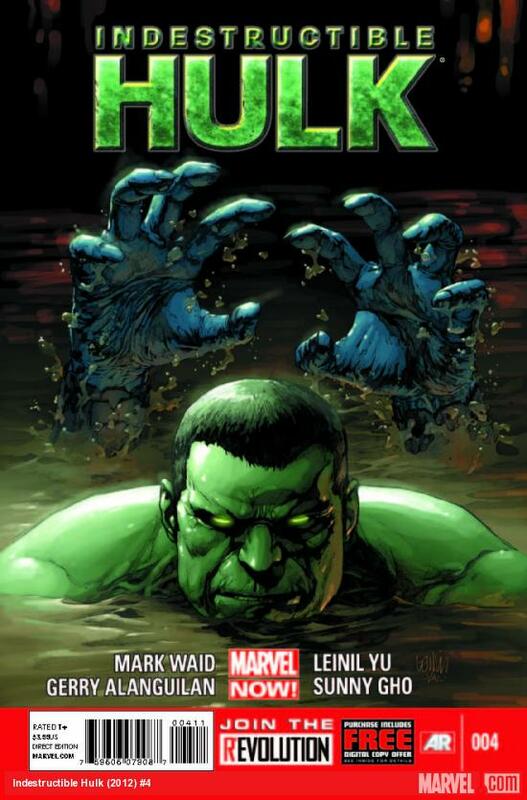 This wasn’t my favorite Hulk issue, but I’m hoping that this is more “growing pains” than anything else. 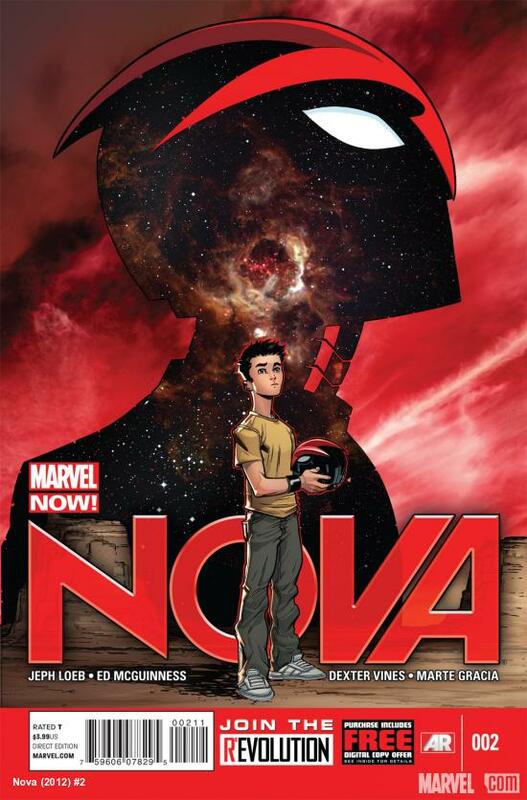 There’s a lot to establish, and Mark Waid seems to be taking his time establishing it all. So before we continue with more comic books, I need to give you a little more background. On the same day that I made my first trip to a comic book store, I also made a second trip to another comic book store that was closer to downtown (yes, I went to two comic stores in one day…on my first day reading comics. Shut up). I was going in that direction to meet with a few friends, so I thought I might as well check it out as well – maybe it’d be better stocked or have more helpful people than the first one. So, remember that first impression I had of a comic book store? The small, minimally lit, dingy place with stacks of comic books everywhere – yeah, that would be my downtown comic store. Apparently they do exist! This place has a mind-boggling number of older comics, all stacked up so that they’re impossible to just glance at. I mean, I’m pretty sure I could sit in a corner of that store and stay their through an entire day and still not get a look at every single comic they have. It was ridiculous and impressive at the same time. One of their walls is dedicated to newer comics – though even that is somewhat questionable. I’ve been able to find back issues of recent series in those stacks that aren’t always available online or at my other local comic shop. 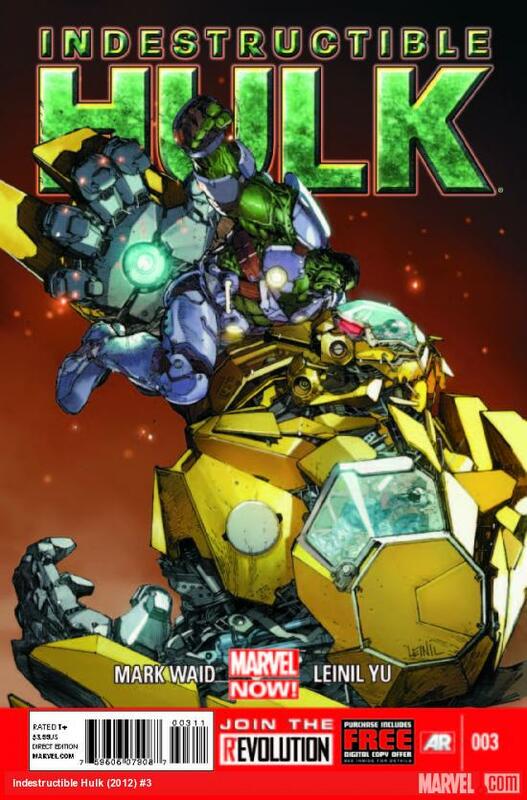 Overall, Indestructible Hulk #1 wasn’t bad. The vast majority of it was just set-up for the rest of the series: Banner no longer wants to be the guy who is trying to cure himself and not contributing to the world, so he wants to team up with SHIELD so he can start creating amazing things to help people. There’s really not much to be said about that. Banner is very confident…much more so than I’m used to (not that I have a ton of experience in that arena, it just wasn’t what I was expecting), but I kind of like the idea. I suppose it depends on where they end up taking it. Artwork kind of falls into the same place – it wasn’t bad, but it wasn’t anything to write home about either. It was just…alright? There were a couple of moments in there where the cheese factor was just a little too high. Now, I don’t mind some cheesy moments sometimes, but when it’s overdone, I’m not a fan. Example 1: Maria Hill is talking to Coulson on her computer – “It’s not like HE’S going to fund US.” Banner is standing over her shoulder – “Hi” …Really? Example 2: Thinker, near the end of the battle – “You’re strength. It’s Incalculable”….Ugg. Like I said. I don’t mind cheese, but not overly-done cheese. I was intrigued by the mention of a war with the phoenix force…not a huge question, but interesting. I added it to my list of questions at the end of the post. All in all, Not one of my favorites of what I’ve read so far, but seeing as I’ve already bought the second one, I’m obviously going to give the series some more time. Okay, so maybe I just REALLY like the combination of Stark and Banner. They’re interplay in the Avengers movie were my favorite scenes too. So this issue plays right into my good books. You have Stark coming to try and figure out just how the heck Banner ends up working for SHIELD, they share some rather funny moments, and then end up in an all-out brawl. It was AWESOME! Tony and Bruce just have great chemistry together, on screen or on the page, it doesn’t matter. Their little moments back and forth are always amazing. I loved the math pun! Mostly because I was a computer science major in college, and we did things like that all the time. We’d write programs that were jokes, or write a program in such a way that the code would read as a joke, or write code in such a way that if you read it in english, it would tell you what the code would actually do – it’s exactly the type of thing two uber-nerds would do together, and it just made me happy! I love that Tony volunteered to fly Banner to the middle of nowhere (and both Bruce and Maria knew he would volunteer…). I loved the very end where Tony is looking in the mirror and says “You’re still rich”. This was just an awesome little story with two of my favorite characters! Completely random question here, but does anyone else think that Banner in this issue looks a little like Leonard Nimoy? Especially when he’s got the hood on?